Most of us these days use Google as our main source when researching new projects. It's an invaluable resource for sure, but consider the issue of fidelity: How can we be sure that we are seeing color the way it is in the original? 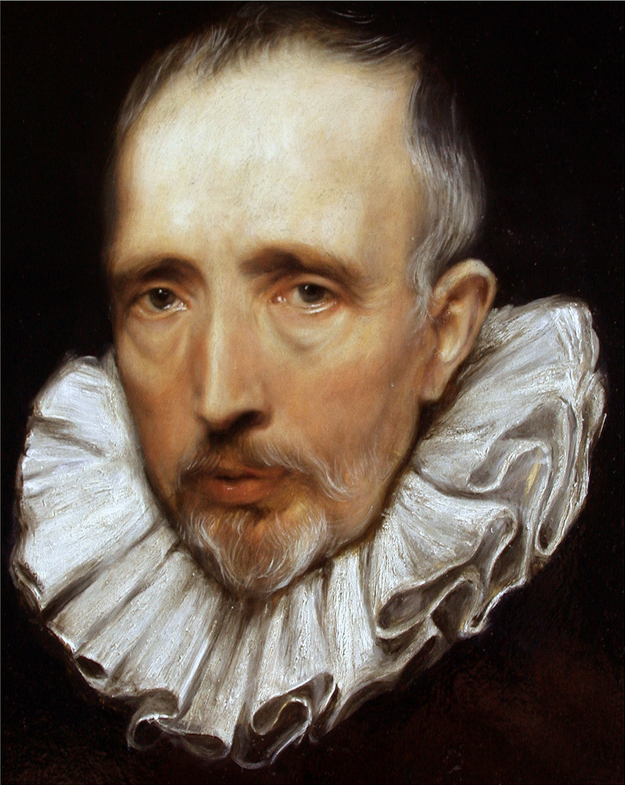 Anthony Van Dyck's portrait of Cornelius Van Der Geest is a classic. Like many artists, I've attempted to copy it myself. I immediately noticed a huge variation in color chroma and value between the many images available online. It's a bit of a head-scratcher. I put copy in quotes above because all we can really hope for is a kind of composite melting-pot of a painting. A tiny few of us have the opportunity to sit next to an original when attempting a copy. The rest have to make do with the largest reproduction we can find in the archives, either in print or - more frequently these days - through a Google Image search. 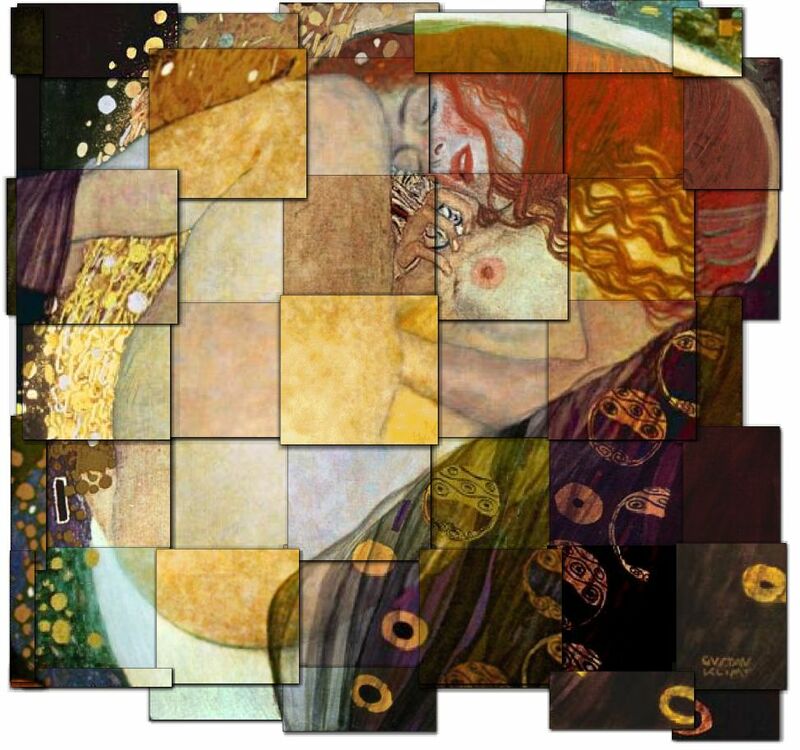 Visual Hint took this concept much further, researching the many variations of classic paintings and re-arranging them into collages to demonstrate the huge variety of color and even shape available online. 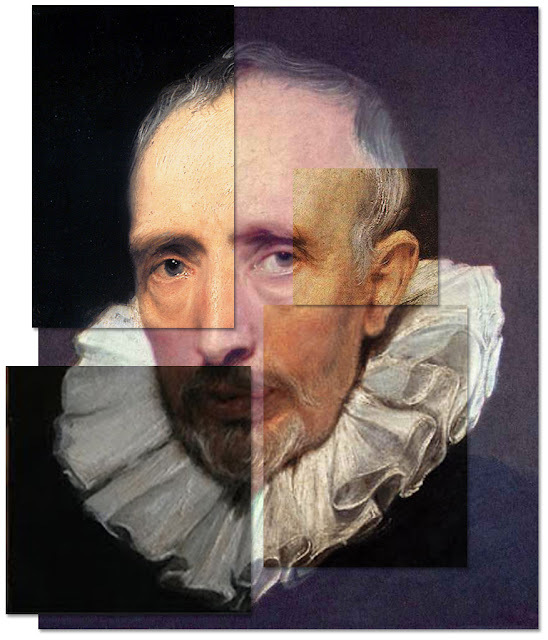 The uneven edges demonstrate the available crops of the original. Though photographic color reproduction of artwork has advanced tremendously in recent years, anyone out there who collects Art books will know that there was a Dark Age in print quality roughly from the 1920s through the 1970s. Unless I see that a book contains line drawings or lithographs, I hardly pay any attention to Art books of that period: What's the point of printing poor black & white or washed-out color photographs of art? We want color, and lots of it! Writing about the limitations inherent in historic source material, Roger W. Moss tells us that "books such as Exterior Decoration, Century of Color, and Victorian Exterior Decoration, based primarily on historic photographs...have certain inherent problems." Researchers of 17th and 18th Century paint colors had little to rely on in terms of printed reproductions of color, they simply had to go straight to the source. However, "the student of nineteenth century paints has first a trickle, then a flood of rich visual documents." That's good news for the researcher, or is it? • Early books had plates that were hand-colored, which of course could never be precise. Even if the colors themselves were not subject to fugitive changes and fading, the paper underneath turned brown and changed the overall effect. • The advent of color lithographs in the 19th century advanced the process, but the color separations were done by eye and there was a fair degree of room for variations and differences between copies and editions. • Readers in the 19th century were cautioned by publishers to work from paint chips rather than plates when selecting colors. There is no such disclaimer on Google! • The actual paint chips contained in some books were subject to the same discoloration found in samples removed from historic structures. Verdigris sometimes turned a very dark brown, for example. I doubt if Mount Vernon would look have the same impact if we relied on paint chips alone. • The problems were compounded when modern printers reproduced those reproductions on an inked drum. • 19th century photographic film was less sensitive to reds and yellows. A print rendered from one of these negatives would yield much darker yellows than modern film, and reds would appear virtually black. Not to mention that color 'correction' software is misleading: You're still looking at pixels and light, not paint, after all. Combine that with endlessly variable differences in Monitors and desktop printers, and the photo editor's preference for hitting the 'Auto Levels' and 'Auto Color' button in Photoshop, and we have a disaster in the making. Truth, as we know, is relative, and the photographic record is as manufactured as memory. It seems that History is a matter of what we settle on as being the generally accepted view. The victor turns out to be the one who simply turns up at the top of Page One in a Google Image search. Brilliant! - I always wonder about this too when it comes to digital exhibitions of digitization of museum archives. variations between one book printing and another can also be hair-pulling. 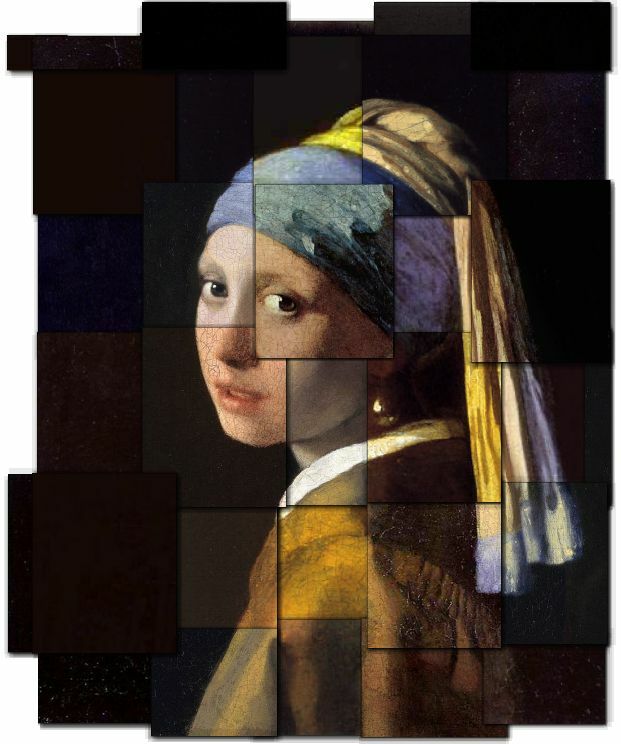 when i had to occasion to paint a mural from the Girl with a Pearl Earring, I collected books, postcards, digital files, and even got a 4x5 transparency from the Mauritshuis which was unfortunately taken pre- restoration and showed about 85 colors of brown. so I had 15 different colors to look at and finally chose to use only my memory of that blue, rather than try to match it to anything in my reference material. Google aside, it's so discouraging to pick up a reasonably priced art book, open it to a full color spread, and see an image that's saturated to the max. That's when you say to yourself, oh yeah, that's why it's at this price! To this day, I'm not entirely sure of the palette of certain artists like Klee. and it also depends on your computer monitor! Each screen is different. I have also purchased magnets of art images from gift shops around the world. I accidentally purchased two of the same painting, one in Paris and one in Italy...they are completely different chroma! Don't even get me on the florescent bulbs! I learned to paint by the yellow light bulbs I grew up with! I've seen 'How To Color Correct' posts on Photography sites recommending to photographers that they adjust Levels in Photoshop so that each image contains 'true black' and 'true white'. As a painter, I know that it's rare to ever use solid blacks or whites in any painting. From observing nature, I'd say that pure blacks and whites are never there in shadows or specular highlights. Sure, it makes for a puncture image in your online portfolio, but the reliance on automated color correction is just plain wrong. enjoyed the thoughts on this post. Jeff....are you home? Very interesting and I am so glad to follow your site! Reminds me of the time I saw a designer trying to color match an exterior wall by holding up a fandeck from about 50 yards away! I kid you not- this was a very high-end guy too. I cracked up for days. The colour variation has been haunting me from reproductions in our schoolbook, through monographs, to today's digital images. Some, at least, look good digitized, even with variation, while others have had no such luck - I know too many artists whose work I adore in real life... but when I want to share it with others via my blog I only encounter small, murky, washed out images I wouldn't look twice. And who knows how it would look on some other screen, even if I did find good images: I remember seeing a post featuring works with ever-so-slightly muted colours, beautiful, but when I tried to show it to a friend on his computer those were shown as kitschy, screaming shades. When it comes to limited editions, I find even a scan won't get it exactly right, I mean on screen it looks fine but depending on you paper, the print result will be slightly off. It requires a lot of tweaking. Pretty tedious stuff. For all your roof repair and replacement needs, contact Century Exteriors a Roofing Company. Re roofing, tears offs, shingles, and much more!